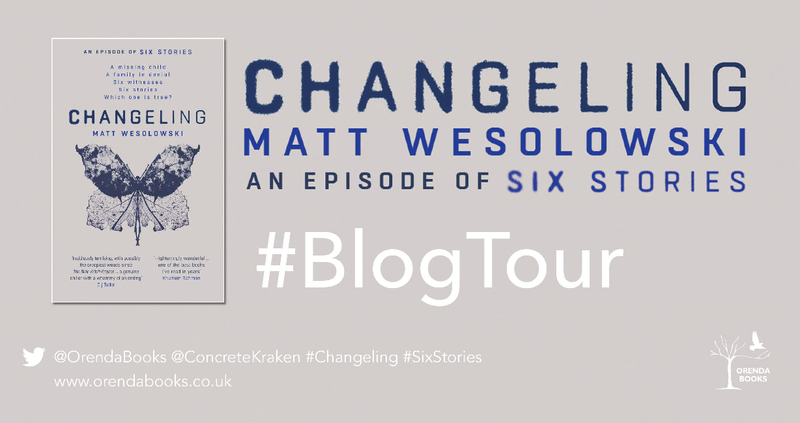 Today it is my absolute pleasure to take part in the BlogTour Changeling by Matt Wesolowski. It is the third book or episode in the brilliant Six Stories series. If you haven’t read a book in this series then I can only suggest you do so, because it is a fascinating premise. Matt Wesolowski is an author from Newcastle-Upon-Tyne in the UK. He is an English tutor for young people in care. 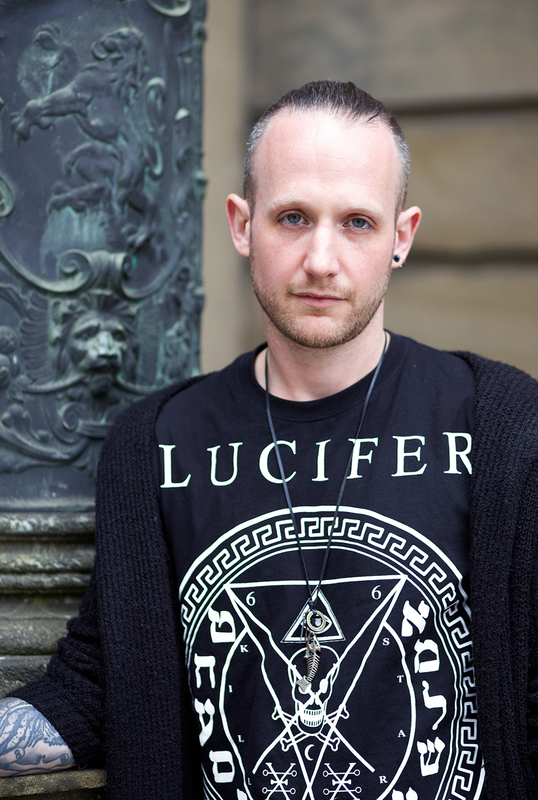 Matt started his writing career in horror, and his short horror fiction has been published in numerous UK- and US-based anthologies such as Midnight Movie Creature, Selfies from the End of the World, Cold Iron and many more. His novella, The Black Land, a horror story set on the Northumberland coast, was published in 2013. Matt was a winner of the Pitch Perfect competition at Bloody Scotland Crime WritingFestival in 2015. His debut thriller, Six Stories, was an Amazon bestseller in the USA, Canada, the UK and Australia, and a WH Smith Fresh Talent pick, and TV rights were sold to a major Hollywood studio. A prequel, Hydra, was published in 2018 and became an international bestseller. Changeling is the third part of the Six Stories series, an innovative fresh idea in a sea full of stories. This episode of Six Stories is different in a sense that Scott King immerses himself in a completely different way this time. In the other episodes there was always an element of distance to the people, the crimes, the myths and the folklore. In this episode the reader gets a deeper look into the main characters soul, and also into that of the author. The disappearance of a seven-year-old boy over three decades ago is still a story that gets tongues wagging. 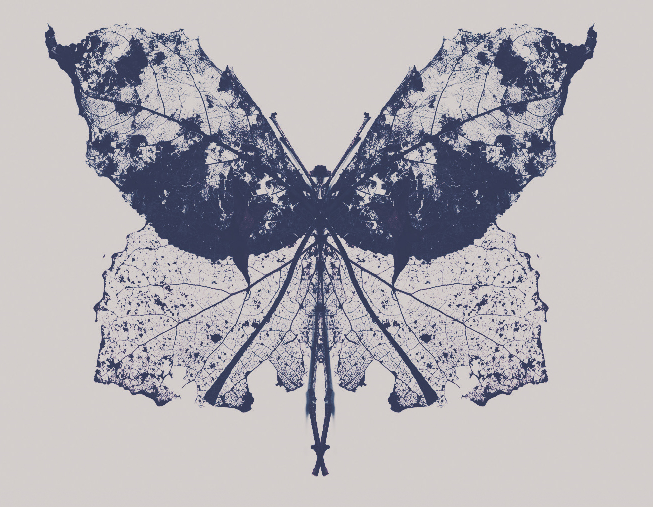 He vanished into the darkness in the middle of the night near a forest. A wooded area connected to a lot of disturbing tales and a lifetime of folklore. The fairie folk have taken him, the monsters in the woods have eaten him or maybe the trees have made the little boy become one with them. All of that and plenty more is fodder for the curious, the gossips, the amateur sleuths and even the family members of the child. I often think it is easier for society to believe the unbelievable than to accept the possibility that humans are worse than the monsters we imagine in our minds. The inability to acknowledge the inhumanity in some of us leaves us weakened and unprotected against the evil living among us. Kudos to the author for giving a platform to the abuse featured in this particular mystery. Sometimes you don’t know what you’re experiencing or seeing when you encounter this kind of subtle, hidden systemic abuse. The problem is people are happy to pass on a malicious rumour or assume something they have been told is the truth without knowing whether it is or not. Been there, done that, met the monster and got the t-shirt.. If you haven’t read a book in this series then I can only suggest you do so, because it is a fascinating premise. I can’t wait to see what the TV adaptation looks like. It is a dark menacing premise that Wesolowski has given a 21st century vibe to. He delves into the darkest depths of human nature, and plays with fractured memories, hidden fears and the ancient folklore and myths embedded in our culture. Podcasts meet rumours, theories and facts to create a fascinating murder mystery with a thriller come horror vibe. You don’t want to miss this series or the author. Buy Changeling (Six Stories #3) at Amazon Uk or go to Goodreads for any other retailer. 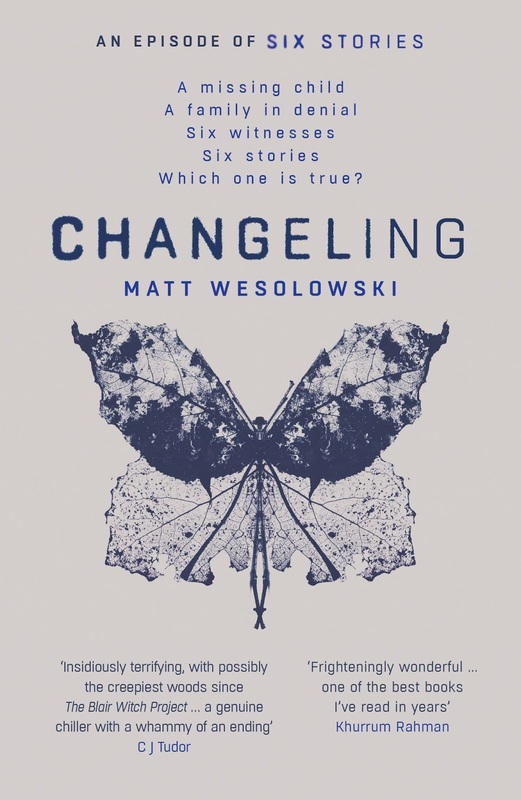 This entry was posted in Crime, Orenda Books, Random Things Tours, Thriller and tagged #RandomThingsTour, Changeling, Contemporary Fiction, Hydra, Matt Wesolowski, Orenda Books, Six Stories, Six Stories #3, Thriller.